We’re glad you are considering living at Harbour Square. Harbour Square Owners, Inc. is a majority owner-occupied housing cooperative. Purchasing a cooperative unit is very similar to purchasing a single-family house or a condominium unit; still, cooperative living has some significant differences. Harbour Square offers gracious living at a competitive price. When comparing costs to other properties, remember that not all condo/co-op fees are alike. Condo fees do not include property taxes, and some condo and co-op fees do not include all utilities. Be sure you know what is and is not included in the fee to help you decide whether the fee is reasonable. We look forward to welcoming you to Harbour Square! Harbour Square boasts over 140 different floor plans, each with unique features and views. All 447 units have generous square footage and plenty of closets, reflecting its innovative mid-century modern design. Top-floor units often include private roof decks, and all townhouses and some first-floor units have private patios. 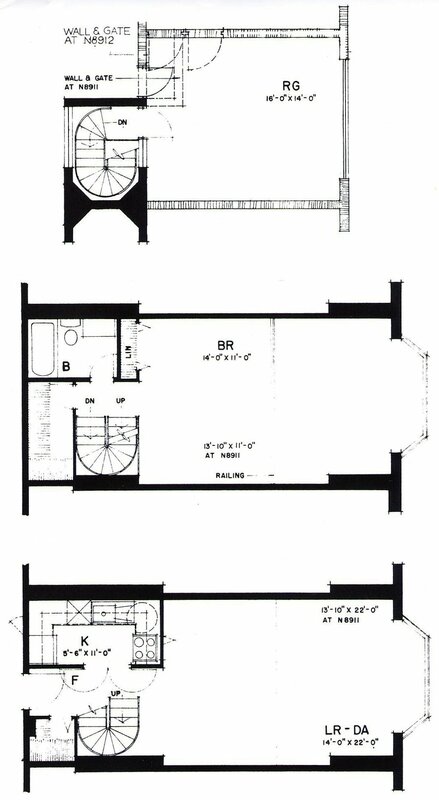 This site provides typical floor plans reflecting the original architecture. Some units retain the original features, while other units have been completely reconfigured. Harbour Square offers endless possibilities to make your unit your own. The property map shows the two 9-floor towers, mid-rise buildings, and townhomes that comprise the 8-acre complex. Harbour Square has over 100 comfortably sized efficiencies, ranging in size from 490 – 724 square feet. Several units open onto private patios on the lower and Loggia levels. 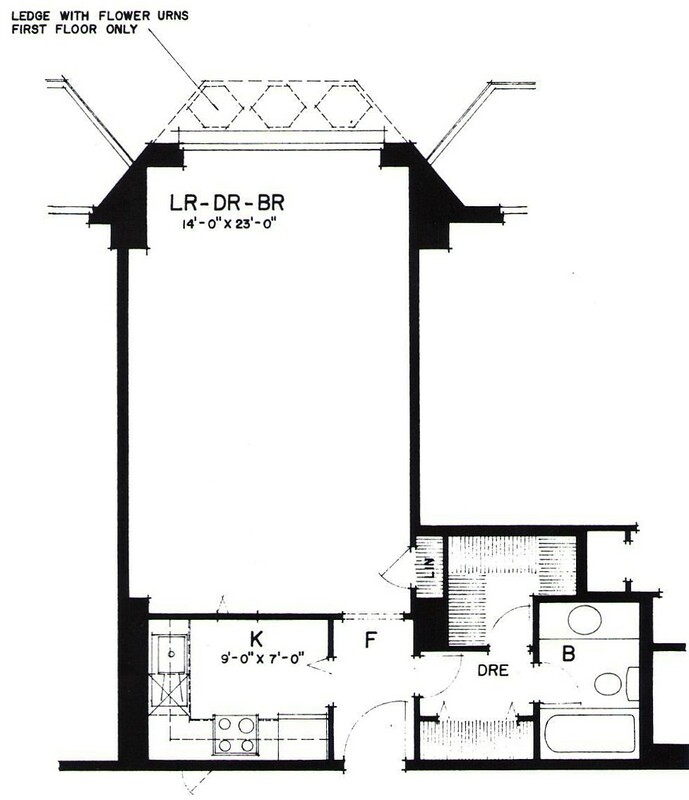 Layouts and dimensions are approximate and vary per unit. Harbour Square has nearly 200 one bedroom units, ranging in size from 518 – 1,178 square feet. Several units have private patios or roof decks. Unique, loft-style units have roof decks and dramatic two-story glass windows. Harbour Square has over 80 two bedroom units, ranging in size from 975 – 1,760 square feet. 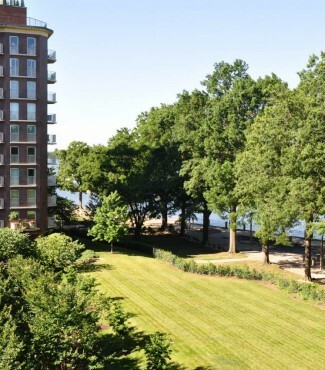 Top-floor units have private roof decks, and many “through units” span across the building for views of both the Washington Channel and Harbour Square’s one-acre Water Garden. Harbour Square has over 30 three bedroom units, ranging in size from 1,345 – 2,332 square feet. Some of the best views of the Washington Channel are from the three bedroom end units in the South Building. Harbour Square has 17 townhouses with 3 – 5 bedrooms each, ranging in size from 2,007 – 4,127 square feet. Half of these are in Wheat Row, the Barney House, and the Lewis House, which are on the Historic Register in their own rights. All townhouses have fireplaces and private patios. Except for the Barney House townhouses, all patios open onto the quiet East Garden.